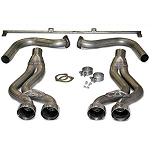 Corvette Mods offers the best and highest quality exhaust system parts for your Corvette. 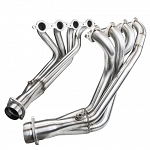 If you are looking to turn heads with a new exhaust system, Corvette Mods has what you need. We offer everything from enhancement plates to headers to boost your Corvette's overall performance. 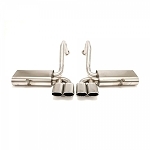 Whether you need a complete C4 Corvette exhaust system or replacement exhaust tips for a C7 Stingray, Corvette Mods is where to look. Our team has found or created performance Corvette parts for every iteration of this all-American vehicle and is always adding new ones to our inventory. 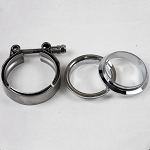 As the owner of a car that is as beautiful as the Chevrolet Corvette, you cannot afford to use anything less than the best for your car's exhaust system. That's why we stock complete stainless steel Corvette exhaust systems from leading manufacturers such as Billy Boat, SLP, NPP, and Kooks. 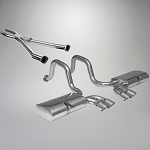 You can order quad exhaust systems, axle-back systems, dual X-pipe exhaust systems, bullet exhausts, and more. These systems ship for free in the U.S. to help you save money. 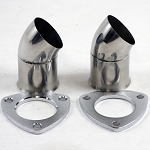 We also carry an assortment of Corvette exhaust parts and accessories. 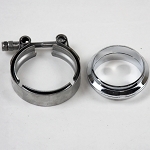 Consider one of our affordable exhaust filler panels made from high-grade stainless steel. 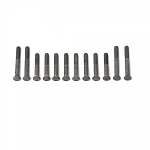 They can be installed in a matter of minutes with a minimum number of tools. One of these beautiful filler panels will fill in the entire open section of the exhaust while also providing an extra look of luxury. 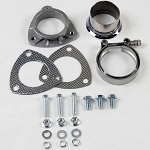 Other replacement parts include exhaust headers, manifold bolt sets, exhaust tips, enhancer plates, and turndown kits. 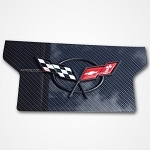 Many of these even come with the official Corvette logo proclaiming the greatness of your car. 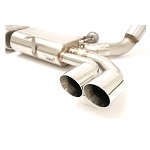 When you choose to buy your exhaust from Corvette Mods, you will increase your performance with extra horsepower while gaining the sound you always wanted but never had before. 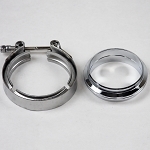 Don't miss out on the extra savings you will gain when you buy through Corvette Mods too. 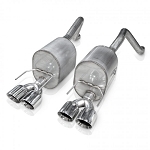 We offer the best in competitive pricing and work to provide the best selection available for Corvette exhaust systems. Our customers deserve the right to be happy with their experience and purchases. That is what we strive to offer every time. 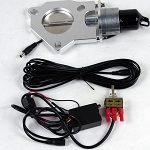 Whether you are installing a new exhaust system, repairing a current one, or have made the decision to upgrade, Corvette Mods has the parts you are looking for specifically for your Corvette model. 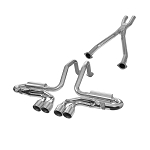 You can't go wrong when you choose to buy your new Vette exhaust system from Corvette Mods. Our top-of-the-line products will keep you coming back to us whenever you want to work on your Corvette.